Based on the Omani Government’s decision pertaining to the closure of Port Sultan Qaboos in Muscat, we would like to inform you that Hapag-Lloyd will cease its service to/from Muscat starting July 1, 2014 and will be shifting operations from Port Sultan Qaboos (PSQ), Muscat to Oman International Container Terminal (OICT), Sohar, the shipping company said in a press release. 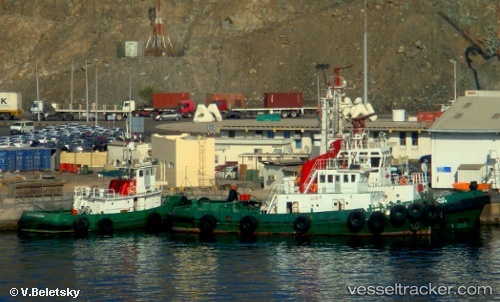 The last vessel to call Port Sultan Qaboos, Muscat is expected to be no later than June 30, 2014. There will be no further Hapag-Lloyd operations in Port Sultan Qaboos after this date. The first vessel call to Oman International Container Terminal, Sohar is expected to be during the first week of July 2014. Container acceptance/release at Port Sultan Qaboos, Muscat: all empty containers must be returned to Port Sultan Qaboos, Muscat latest by July 30, 2014.